Jen has always been different, special and unique. Being emphatic, she was able to see and feel what others could not understand. Using her gift of intuitive guidance allows her to correspond intimately with angels, the archangels, and the ascended masters gaining valuable insight to help others. Life is full of questions and, sometimes, the answer is hidden just below the surface. Jen uses her intuitive abilities to help others with their experiences by answering questions that, otherwise, would HAVE no answers. “I am able to meet with a person and give them the insight they need, most times without even knowing their name. My gift allows me to help many move forward in life when they are stuck.” Her coaching programs allow clients to move forward faster, heal old wounds, and define their lives with clarity. She helps them to achieve the greatest outcome possible if they are ready to redefine their lives and create something new. Trusting another is sometimes the hardest thing we need to do. It is in our most desperate of times that we seek answers outside ourselves, requiring us to TRUST. Jen is able to help her clients, in their most pressing situations, to gain better insight by using her spiritual guidance. God speaks and shines a light through her in order to help others SEE that light. Everyone has a unique story, a different life experience, with their own truth. Jen loves inspiring others to choose to live their unique story as the Hero or Heroine in their lives. You always have a choice in life. Even when the choices are hard, you always have a choice. Your choices begin with choosing to find your inner calm and knowing you are making the best possible decision given the information presented to you. Life creates change for us to grow and to show us how much stronger, wiser, and powerful we are! Jen helps others become aware of this on their journey to greatness! 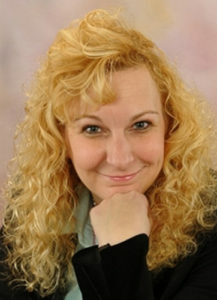 As a Reiki Master, Ordained Minister, Certified Neuro Linguistic Programming (NLP) Practitioner, holding a Bachelor’s Degree in Metaphysical Sciences, and certified in the holistic healing practices of SpR and SRT, Jen uses holistic treatments and techniques within her spiritual counseling to help each person heal their body, mind, soul and life experiences. She inspires others to recreate their present experience by gaining empowerment through making hard decisions more manageable. Teaching her clients and students to choose to find the courage to create change because they want and desire inner peace and mindfulness makes her style of healing unique and custom for the client. Jen will be receiving her Masters in Metaphysical Sciences at the end of 2017. Her Doctorate in Spiritual Counseling will be received by October 2018. In 2015, 2016, and 2017, Jen won the Best of Bethlehem Award in the Other Business Services Category. She was inducted into the Hall of Fame in 2017. Jen can be reached at (570) 871-3930 to schedule an appointment.